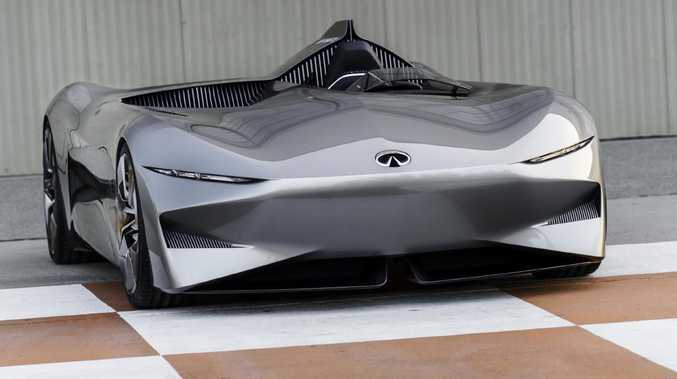 Nissan’s luxury brand Infiniti has unveiled a wild-looking electric vehicle at this year’s Pebble Beach classic car show. Picture: Supplied. CONCEPT vehicles allow designers to create the cars of their dreams in the same way fashion runway shows unveil clothing never likely to make it into stores. This super-sleek machine - called the Prototype 10 and unveiled overnight at California's Pebble Beach classic car show - is intended to "recapture the spirit of early speedsters" from the early 1900s, even though it runs on electricity. 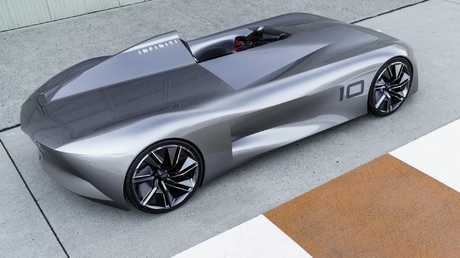 The Infiniti Prototype 10 blends retro looks with modern tech, but don’t expect one in showrooms anytime soon. 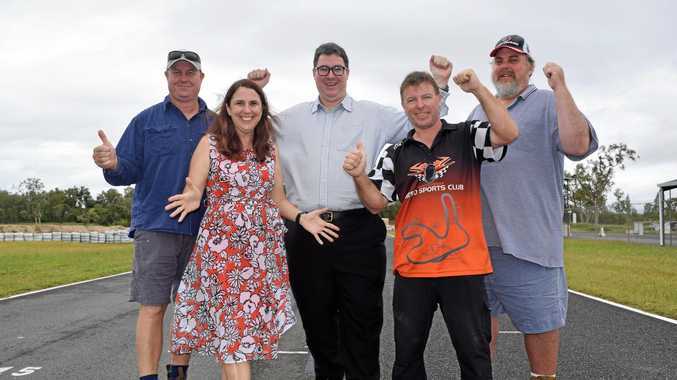 Picture; Supplied. It's the work of Nissan's luxury brand Infiniti and is said to be a pointer to design cues on future models. Translated: Nissan is not about to release a one-seater electric car stretched as long as a limousine. However, take a closer look at the sleek headlight design and the general shape of the front bumper - namely the accented vents on each front corner - then squint a bit and imagine it on a showroom vehicle a few years from now. 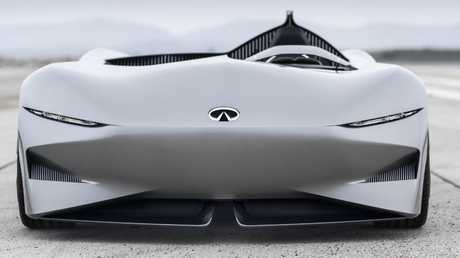 It's also Infiniti's unsubtle way of showing its intentions to build a sleek electric car in the near future. Take a close look at the bends in the front bumper. That’s about all that will make it into production, or something like it. Picture: Supplied. 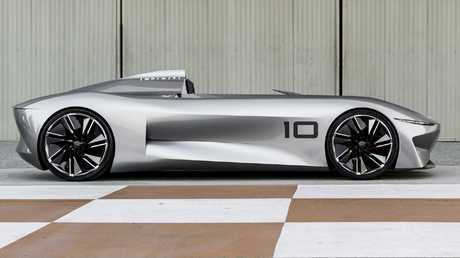 The company says the Prototype 10 provides a link between where Infiniti stands nowand where it is heading. "For us, electrification means performance - our cars will be powerful, efficient, and highly rewarding to drive, and Prototype 10 is a physical representation of our electrified future,"says project lead, Karim Habib, a Canadian designer of Lebanese descent. Over the past 20 years he worked for BMW and Mercedes before moving to the Japanese luxury brand about a year ago. The overall shape is inspired by speedsters from the early 1900s. Picture: Supplied. 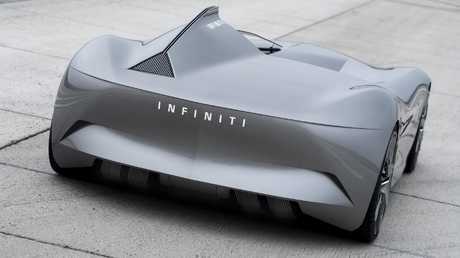 "The Infiniti Prototype 10 echoes the layout and design of early speedsters," says Habib. "This period saw the creation of some of the most evocative car designs of all time, where power was celebrated through high-powered single-seat competition cars." Therefore, he says, "it is appropriate that we found inspiration in an optimistic bygone era in which cars were characterised by the simple love of driving." The fin behind the driver’s seat has hints of early Corvettes and the Jaguar D-Type race car. Picture: Supplied.